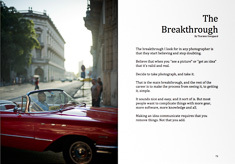 leica.overgaard.dk - Thorsten Overgaard's Leica Pages - "Video Journalist Morten Albek tests the video on the Leica SL 601 - With sample video"
Leica M Digital Rangefinder Camera - Leica SL Typ 601 "Max"
By: Morten Albek. February 11, 2016. Latest edit on July 12, 2016. 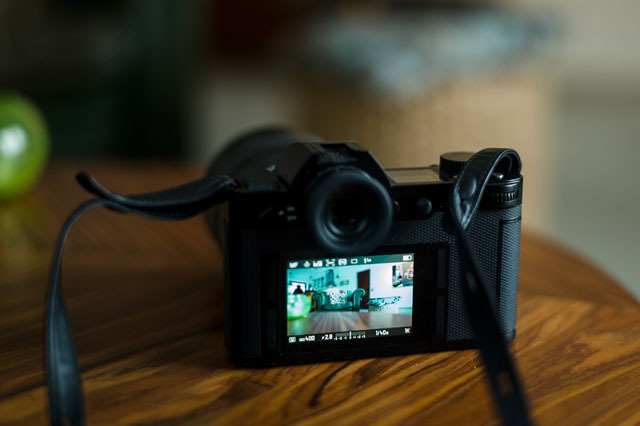 Video recording with a dSLR, rangefinders or mirrorless cameras like the Leica SL, is a challenge for every video-journalist or amateur photographer. Morten Albek with his usual video broadcast camera for TV2 Denmark. There is a reason that video camerasare still on the market in the high-end professional video production market, although the fusion between still photography cameras and video recorders are increasing. 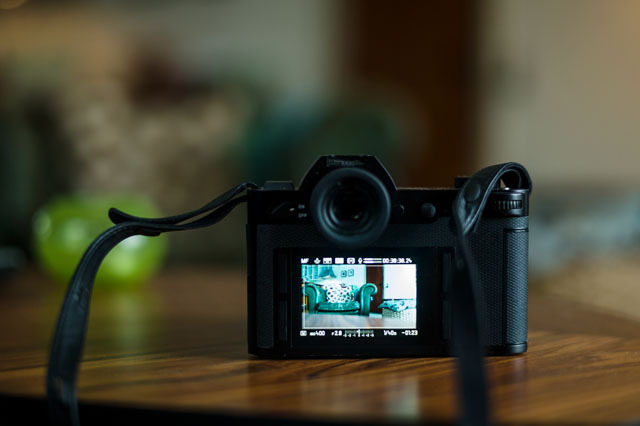 The cameras, being Leica M, Leica SL or another brand like Fuji X100T i.e., are first and foremost aimed for still photographers. The video recording possibilities is a second option, and often a second-best experience too. Being a professional cameraman and still photographer during +25 years has given me some experience with a variety of cameras, and their differences. This being a review based on my hands-on experience, skipping most technical stuff, because most of us are users rather than technicians. 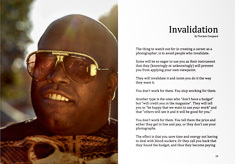 And please notice this is first and foremost about video, not photography. The backside of the Leica SL 601. Often the dSLR or mirrorless cameras need a special setup to be practical to operate during video recording. 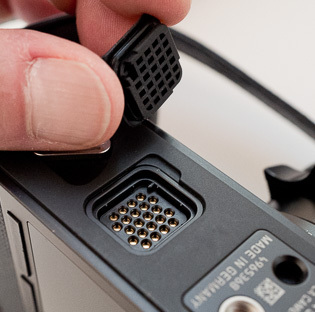 External viewfinder or screen, and external microphone, is necessary to enhance the functionality and quality for video recording. Also the Leica SL will need this. It’s tricky to handle without a flip-screen or external screen. 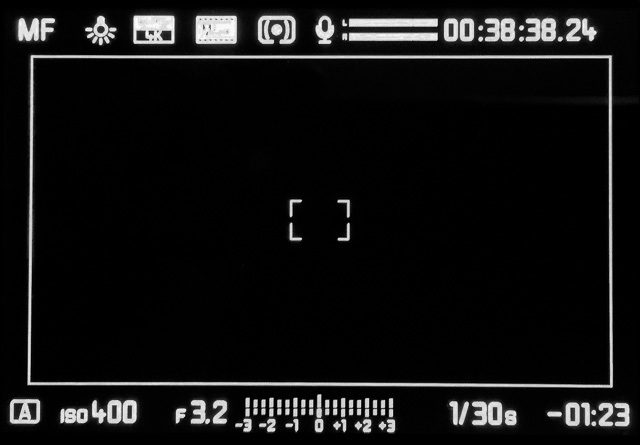 Having to handle the camera in front of your eye using the normal viewfinder is not working. Live view is an option, which demands a tripod to be able to watch it; but still the screen on the back of the camera is a bit odd to use, depending on the leveling height and angle of the camera. Leica SL with the Leica 24-90mm Vario-Elmarit-SL ASPH f/2.8-4.0. I had the camera for a few days and decided to test the Leica SL as raw as possible, because this is where it shows advantages and weaknesses. So no special setup, no tripod, and handheld is the way the test-video is shot. I used the Leica 24-90mm Vario-Elmarit-SL ASPH f/2.8-4.0 designed for the Leica SL as well as the M dapter to put on Voigtlander 35mm f/1.2 ASPH II and Leica 50mm Summilux-M ASPH f/1.4. This is the great advantage of using a Leica SL camera for video; being able to use very fast lenses with a minimum of depth of field, and beautiful bokeh. This is what makes it stand out from the crowd. This advantage is also the obstacle for the videographer, unless you are in full control of what you shoot. For commercials, fashion, staged or controlled feature shooting the Leica SL is excellent regarding the use of lenses and artistic creativity being unlimited. For television news or “shoot and move” captures it is fairly difficult to operate with speed. Like most dSLR video still cameras that offer video. Therefore there still is a market for dedicated video cameras at the professional market. They are aimed for capturing moving images in a way that makes it possible to capture whatever you need, with speed. The weaknesses of the video cameras are often the final quality of the images and the slower lenses. So one have to choose the right tool for the job to be done. I am not a fan of reading camera’s operating instructions. Neither am I a technical lover. 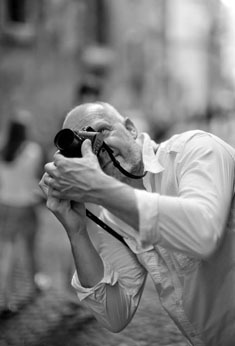 I love tools, like the Leica M9 (my daily tool) that works flawless and is easy to handle. 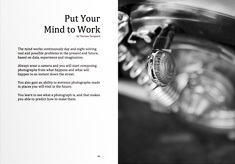 I didn’t need a manual to learn the Leica M8 or Leica M9, and having a new Leica M240 in my hands was the same experience. As a user, the M is intuitive. The menus are logical and manual settings are easy. Not the case with the Leica SL. It is a highly advanced camera, but menus should newer ever be an obstacle for operating the camera easily. Leica SL screen with normal photo preview display. 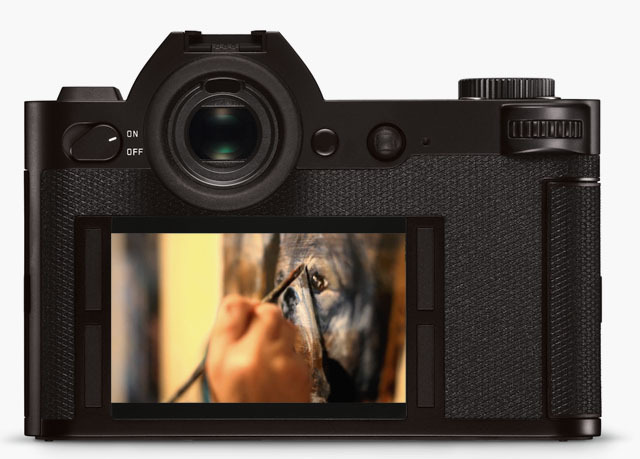 It's easy to switch the Leica SL to video preview pressing the second silver button on top. The video mode of the Leica SL is now active on the screen, also showing the volume of the sound recorded. There are no signs or printed icons at the back, so you don’t have a clue what functions the wheels or buttons are dedicated to. They can be assigned for the operations you want, and maybe that’s why no symbols are attached. It just makes it very difficult to understand the camera, and you have use the camera a lot being able to grab it and handle it with ease. The information in the viewfinder is fine. In video-mode there are settings to see how the selected 16:9 framing looks, both in the live view mode and directly in the viewfinder. Lines shows the field captured and what makes the framing easy. Maybe it is a design matter: It looks clean and elegant without white print and symbols. But for me a camera is a tool that I want to master without any thoughts about where I find the settings. It should be easy flowing and I found myself in trouble here. I had to read the manual. That’s all right to do for a while, but after that it should be in the fingers intuitively. After a while I got it. The video settings are very advanced, with high quality settings. 4K video recording is possible, as well as standard 1920X1080 for 16:9 television captures. 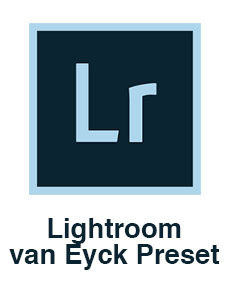 I chose that one, to see how it performs if I would use it for television feature shooting for example. There is a lack of sound equipment for the Leica SL so far, and I used the build in stereo microphone. For some reason the camera-manufacturers have placed the two small built-in microphones on top of the camera so my heavy breathing flows from my nose into the sound track. Not preferred, unless you want a special windy nose-noise effect. I didn’t. The microphones also capture the noise of handling the camera. External microphones are a must for this camera (as for all other still cameras doing video). Colors are reproduced very nicely using the standard settings. It is possible to select other settings that enhance the post-production options controlling exposure, light and color grading in very advanced levels. This makes the camera usable for commercials and even film production. The dynamic range is excellent. In the small movie shown here, there are only three very minor exposure adjustments made. The rest of the scenes are untouched showing how well the black level is reproduced in low light with dark areas. Also whites are generally pleasant to view, and burned out whites looks nice. Colors reproduced nicely and naturalistic. What you see is what you get. This is a limited practical test, so of course the camera needs to be tested in a variety of situations to fully make a judgment, but so far I am impressed with the picture quality. It took a little time to get used to ISO settings and exposure controls. But having handled the camera only for a few hours I am certain that if I used the camera regularly, I would very soon get the grip of it and handle it as fast as it should be. This then had to be the only camera, knowing my tool is essential. I am not a camera shopper and stays with my camera as long as possible. I like to focus as little as possible at the operating process, and more at what I want to capture and express. Changing lenses during the video recording has a great impact on the ISO setting. 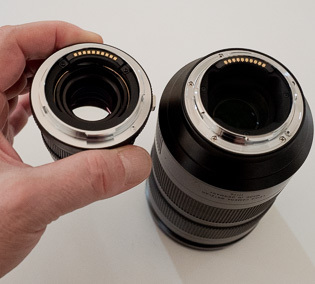 There are differences between an f1.2 or f1.4 lens. And ISO settings must be changed accordingly if you want to use the lenses fully open to get the advantage of the narrow depth of field. The ISO settings used for these video captures changed between ISO 200 and ISO 800 depending on which of the three lenses used. The fast ISO high quality settings are one of the big advantages of modern cameras. The SL seems on top of that, and produces pleasant colors and rendering the noise smoothly. This makes the Leica SL able to shoot in very low light environments. For my shooting I used two pair of LED lights made for television. LED lights by the way, have the disadvantage, that if you put them on 100% they might be out of sync with the camera shutter and flickering light might occur depending on the shutter adjustment. Stopping down the LED light sources a bit will exclude the problem. There is a scene where this is visible. See if you can find it. Especially for video shooting, setting the white balance is essential. Auto white balance settings on a camera that moves around, especially in mixed light, will make a rainbow of colors throughout the capture. Therefore manual white balance setting, or preselected color temperature values (Kelvin) should be used to get a steady natural looking result. On the footage in the test video, you will see how the different light sources in the background will influence on the image expression. So as a photographer or cameraman you have to have this in mind when the picture is framed. There is a very fine viewfinder on the Leica SL, making it possible to adjust focus manually (preferred) because of a high resolution. For video capture the live view screen at the back of the camera is essential though, for a better view of the scene. As mentioned, I miss a flip screen, because it is pretty awkward to watch the screen if it isn’t at eye level. Adjusting focus manually during video recording is a matter of training, but essential. Auto focus will hit all the wrong areas in this kind of shooting. Get it in your fingers by training: Adjusting the focus manually will give you a much better and artistic controlled result than letting the camera decide for you. I chose a semi difficult capture to see how the Leica SL video capture mode worked. I did a reportage of my lovely wife Ann-Lisbeth Sanvig doing her thing, painting! A limited area with mixed light sources, some movement but also the possibility to use the shallow depth of field provided by the fast M-lenses, the Leica 50mm Summilux-M ASPH f/1.4 and Voigtlander 35mm f/1.2. I used these lenses as an alternative to the available standard Leica 24-90mm Vario-Elmarit-SL ASPH f/2.8-4.0 zoom lens that is pretty unhandy when shooting in movie mode. It’s simply too heavy and out of balance if not on a tripod. The camera is used hand-held all the way in the test video. It’s a bit inconvenient because it’s not easy to hold it still in front of your face. It’s designed to be held as a still camera. Even with the image stabilizer turned on, the footage has a tendency to be a bit unstable or shaky depending on the weight of the lens used. The wider the lens, the easier it is to hold in a fairly steady position. The camera should be used on a tripod, but shooting reportage or moving targets makes this option an obstacle for being efficient. As mentioned the camera is great for controlled situations, staged and commercial shooting. For reportage it will be difficult to handle without a special rig and viewfinder to enhance the operation. My overall experience is that the video quality is excellent, and even with shifting lenses it looks great. (Note: In the video a part of it it shot from outside the house through a double layer (thermo) glass window which gives double shadow reflections from the glass). 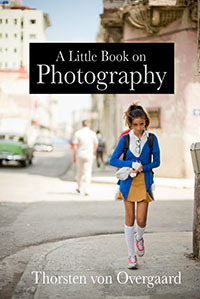 Handling the camera reveals it is heavy equipment with a Leica 24-90mm Vario-Elmarit lens on. 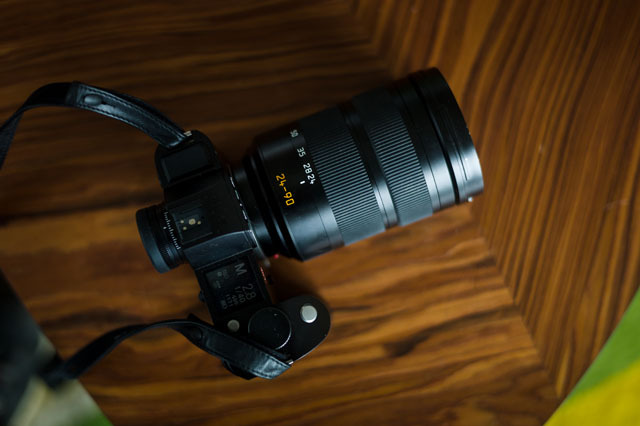 It is not performing as a handheld camera – many dSLR cameras with video options are not. Today it is almost impossible to buy a consumer video camera in a decent quality, because everything is built into the dSLR and mirrorless cameras (the Leica M240 for example). But those don’t perform as a video camera. Many capture their moving pictures with an iPhone instead of a videocamera, and when nobody makes a camera that combines still and video that is equally performing for both things, video is outperformed. Ironically when you see how video increases it’s popularity on social media platforms. The Leica SL is a great camera with excellent video performance. Handling the camera is the weakness, as with most still cameras having video build in as second option. But surely at the top of the quality camera market that includes video. The price tag is another discussion. 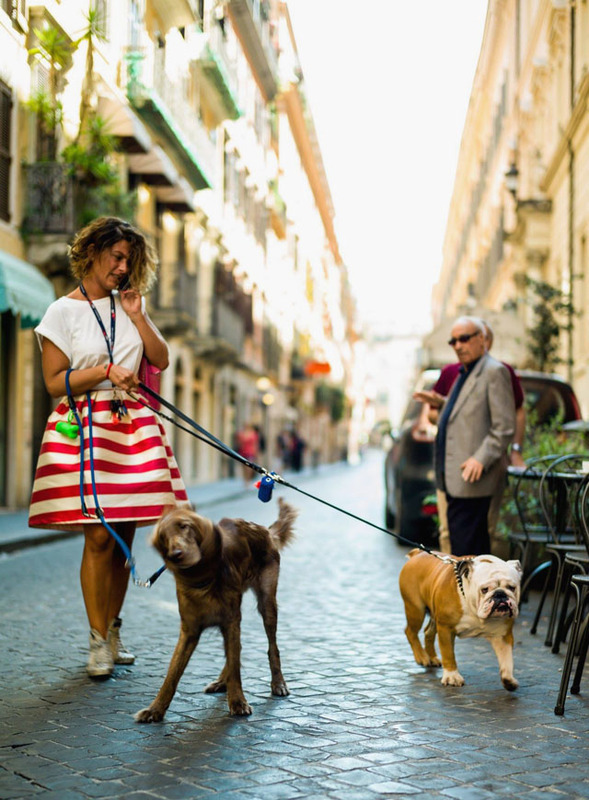 Rome 2015. Leica M9 with Leica 50mm Summilux-M ASPH f/1.4. © Morten Albek. 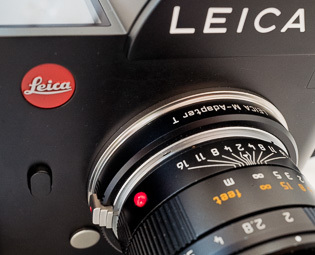 Interested in a Leica SL video workshop? Send a mail to Adam at am@overgaard.dk for more info. By: Thorsten Overgaard. February 11, 2016. When you want to use the Leica SL 601 for video, here are the basic viceo settings that will work as a starting point. The working screen should somewhat look like this when you press the video preview button on top of the camera. (There is a chrome button with a red dot that is for video recording. The chrome botton to the left of this is to enable/disable the video preview). When you press the top left button next to the screen twice, you get the FAVORITES scree. White Balance i have as AWB (Auto White Balance) when I do still, but for video you should choose a Kelvin number or a White Balance preset like Tungsten (3200 Kelvin). One of the things AWB does is constantly measuring the color temperature of the light (based on any neutral looking white or grey surface the camera can find in the frame). In video this would result that the white balance changes if a yellow car drives by in the background, or any other change. You don't want that, so the White Balance should be set to something. The JPG Resolution I set to the highest, 24 MP which is called L-JPG. If it is going to be of any use, it should be the highest resolution. If you don't want to use the JPG, set the Photo File Format to DNG only and save the trouble. Sub sub menu "Time Code"
When you continue to scroll down, you get to Menu screen 3 and will see that you now move into the SETUP menu. This is how to set up the camera rather than the image. You can also get directly to this menu by pressing the top left button and then the bottom right. Storage Backup is the possibility to use two SD cards in the camera and set up the second to backup what is written to the first card. Sub menu "CAPTURE ASSISTANTS "
I find a Grid in the viewfinder confusing for most things so I have set it to Off. For things like architecture I might turn it on. For video it may help to set the frame. You can test it and decide for yoruself. For video Zebra is on so as to be able to judge the possible over-exposure. The Video Safety Area is set to 90%. Video Aspect Ratio is set to 1.78:1 (16:9). For me, everything is off. When using a lens with AF I prefer just 1 Point focus and nothing else. 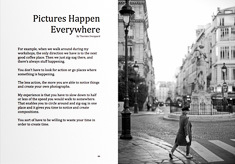 The sub menu "LIVE VIEW" offers some choices on what to see in the EVF. Optical Image Stabilization is good for video and long tele lenes. When setting the camera up for video it should be set to On. Also the EV Incrament should be set to 1/3 for fine tuning of exposure (for stills 1/2 is fine as you can adjust in Lightroom). 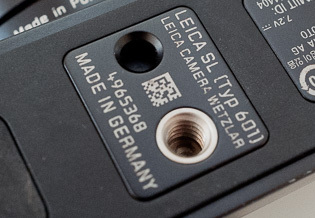 What are the different Leica SL buttons and symbols for? 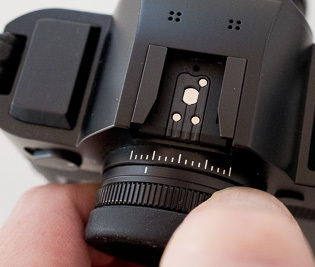 There is a bayonet un-lock button on the Leica SL that is pressed to release the lens or adapter. If an adapter is attached, that too has a silver button that is pressed to release the lens from the adapter. The Leica lenses all have a red dot on them. It has to be positioned so that it "meets" the silver button on the camera or adaptor, then turn the lens clockwise till it locks. When using one or two adaptors on the camera you will likely press the wrong button a few times but then you will get the hang of it. The metal contacts inside the bayonet of the Leica SL and Leica T lenses and the adapters are for communication with the camera. For Leica T and Leica SL lenses they power the aperture and the autofocus motor inside the lens from the camera battery, and in the case of T and SL lenses they tell the camera the focus distance and zoom position as well. In all lens combinations they supply the camera with info about which lens is used. 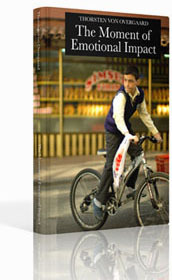 For Leica M lenses there is no AF and there is no info about the aperture going to the camera. For Leica R lenses it is (un-)likely that the R lenses with ROM contacts will give info to the Leica SL about which lens is attached. We will know when that adapter is available in 2016. 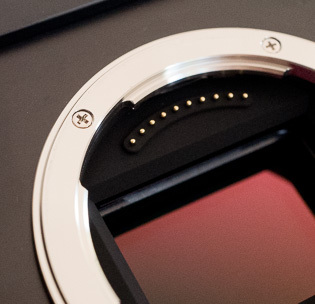 Inside the bayonet of the Leica SL is the contacts to communicate with the lens' or adapter's contacts. And yes, that is the sensor you see below and behind it. It is unprotected like this, though it has a glass surface. 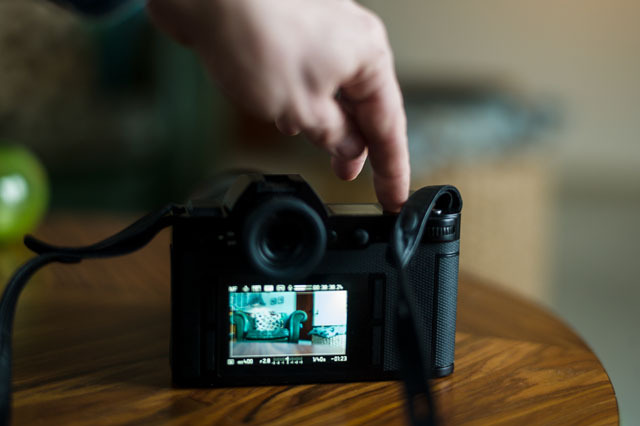 When you release the shutter, a shutter curtain will go over the sensor and back in hiding again; after it has cleaned the sensor for digital signals and made the sensor ready to record the next picture. The strap lug on the Leica SL has a square shape and doesn't take metal rings as the Leica M and other cameras. It has to be a nylon strap or leather strap that goes around it. You can turn the diopter on the viewfinder to adjust to your eyesight. To the left of the top of the camera is the plastic roof that seals the GPS unit. It needs a plastic roof to be able to communicate with the satellites. The two sets of four small holes on top of the camera are the stereo microphones for video. The soft rubber field under the camera is not GPS or WiFi. 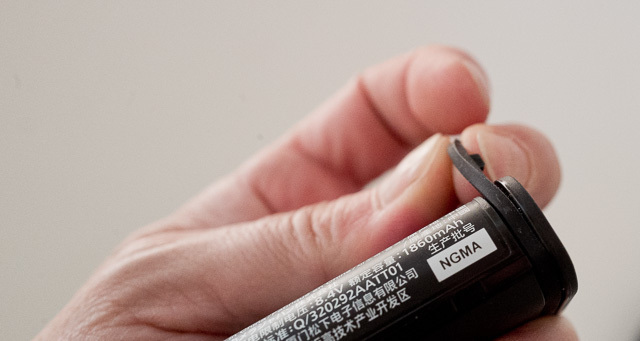 The rubber seals the contacts that are used when the battery handgrip is attached. This is not a handgrip but a rubber cover of the contacts for HDMI, remote control, USB3 and external sound recorder. The screw mount hole in the bottom of the Leica SL 601 is for attaching it to a tripod, and the other hole is for keeping the camera firmly in place on the tripod so it doesn't rotate. This plate also contains the serial number as well as a scan bar that can't be read by the iPhone. It is likely for factory internal use. 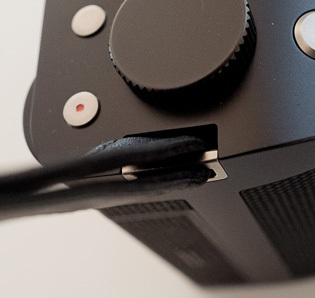 The Leica SL batteries have a rubber band that is for weather-sealing the camera in that department as well. The rubber ring feels loose when your finger moves over it, but is actually pretty well attached to the battery. 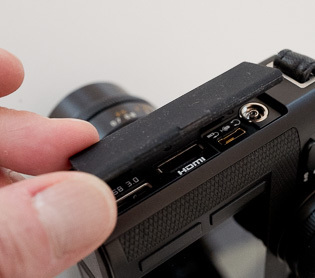 The silver button in front (on top of this picture) is the shutter release button. It is for still pictures onlu. 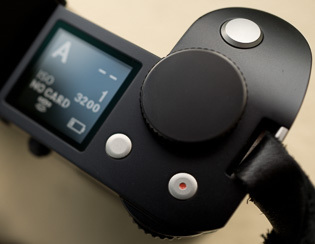 The silver button activates and deactivates video preview in the EVF and on the screen. The silver botton with red dot starts and stops the video recording. Sign up for my free newsletter to stay in the loop for more on the Leica SL. By Kristian Dowling (as of November 17, 2015). 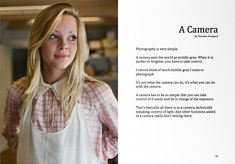 Above: Leica SL video by Morten Albek featuring international painter Ann-Lisbeth Sanvig. Leica SL Typ 601 "Max"
Morten Albek is a Leica photographer and award-winning Danish video journalist who has worked in television making sports, news, features and documentary since 1998. 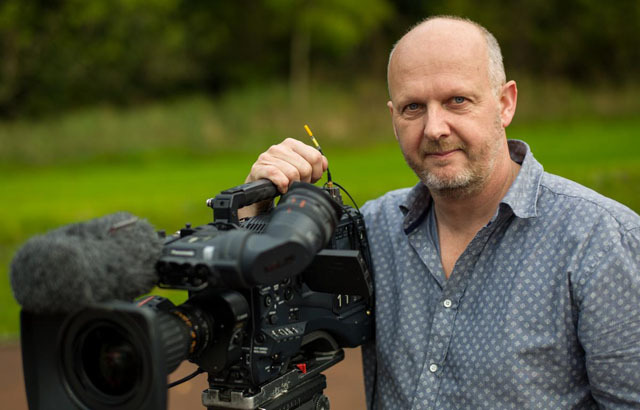 He was awarded the best television news videographer 2014 in Denmark and previously won European Circom Award in 2002. 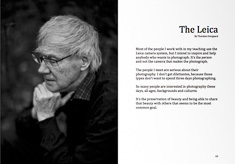 Morten Albek was featured on the Leica Blog previously. 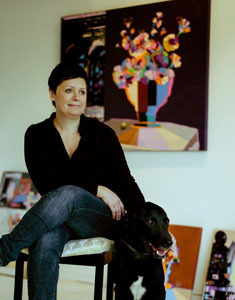 Ann-Lisbeth Sanvig is a Danish painter who sell her pictures all over the world. And the wife of Morten Albek.